#BeatTheBlaze is not only a ‘fire walk’ so to speak, but also a night full of entertainment. There will be live music, a DJ, Fire Breathers and on going surprises will be announced by MC – Daragh Frawley throughout the night. Complimentary drinks will be available on arrival and there will be an after party in Limerick City. 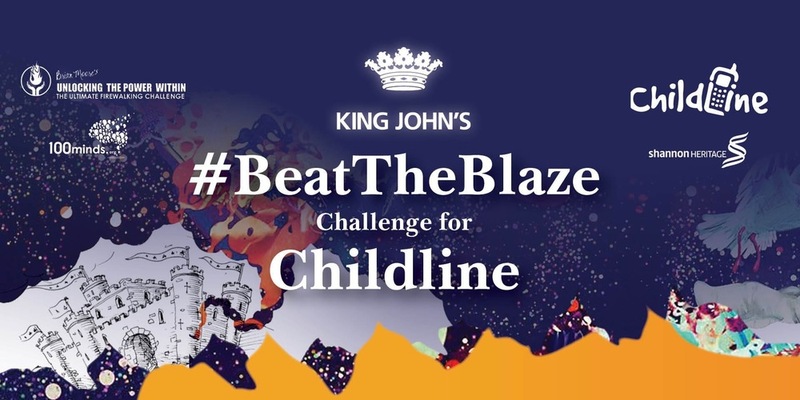 Every cent of the money raised from our #BeatTheBlaze challenge will help ensure that Childline’s phones remain open 24/7. If Childline could not continue to provide these services, many children would effectively be forced into silence. So please support this great cause and come on down on the 12th to see me get blisters on my poor little feet. There’s a card at the till in the ICHAS canteen….